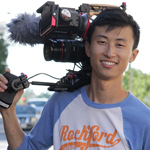 Chinese American filmmaker Bing Liu—who began his career doing DIY skateboard edits—brings a fresh eye and discerning direction to his first feature, set in blue-collar Rockford, Illinois. Following his friends Zack, a 23-year-old new father, and Keire, a 17-year-old African American trying to find a job, the film supplies gnarly skate scenes, partying, and banter. Bing gradually unearths deeper truths and intimate confessions, stepping out of traditional documentary storytelling form by giving his subjects the choice to either talk directly to him or ignore his camera presence altogether. The motif of skateboarding as both an escape and a way to connect to others, along with Bing’s unique access to his subjects, brings unique dimensions of joy, movement, and color to the tougher issues. 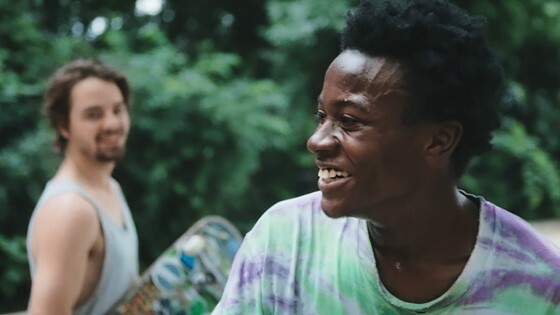 Minding the Gap is a gritty, honest, heartwarming, and ultimately uplifting film about skateboarding, friendship, and acceptance. "This film is nothing less than a watershed—there has never been a more in-depth portrayal of late adolescent masculinity." Thank you to our community partner Live Water Surf Shop. Bing Liu grew up making skate videos with his friends. He began his decade-long career in film while attaining a BA in literature from the University of Illinois. He is a member of the International Cinematographer’s Guild and is a segment director on America to Me, a Participant Media and Kartemquin Films-produced mini-series directed by Steve James. He enjoys mornings sipping coffee, afternoons skateboarding, and evenings bicycling.